Fine, sharp-edged details and smooth gradients in the ring features of the Cassini Division are imaged here together at excellent resolution. The faint ringlet in the dark gap left of center is a recently discovered feature, found in Cassini images (see PIA08937 ). 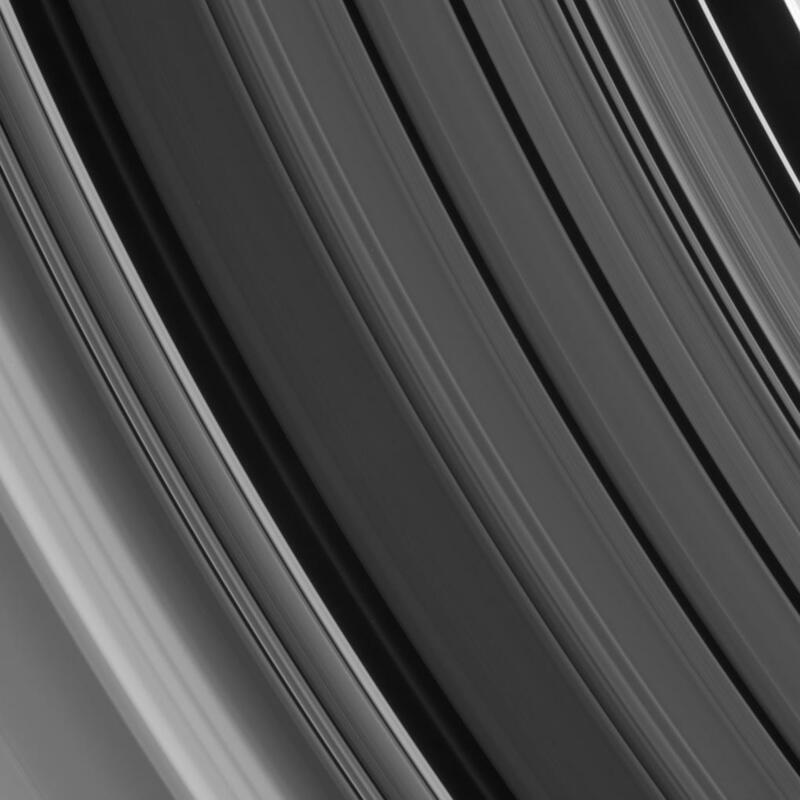 This view looks toward the sunlit side of the rings from about 21 degrees below the ringplane. The scene takes in the entire Cassini Division (4,800 kilometers, or 2,980 miles wide), as well as the innermost region of the A ring at extreme left. The image was taken in visible light with the Cassini spacecraft narrow-angle camera on April 8, 2007 at a distance of approximately 476,000 kilometers (296,000 miles) from Saturn. Image scale is 2 kilometers (2 miles) per pixel.